I may have learned only one thing during my time with Talent Not Included, but it is a lesson I will take with me to my grave. Acting, apparently, is not for the faint of heart. Sure, everyone knows that you have to memorize dialogue and deliver it in a meaningful and believable fashion. But what about fighting all those monsters? Or jumping down narrow shoots filled with blades and spikes? Or that giant three-headed devil thing with the big smashng arms! No, thank you. I think I’ll leave acting to the actors. Talent Not Included is an action platforming sidescroller, stylized to resemble a stage show. 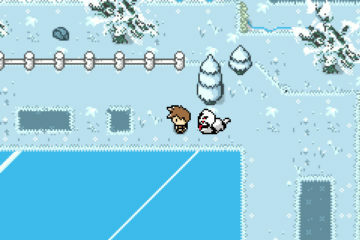 Levels take place across a single screen, but each time the player meets certain criteria, the scenery and obstacles fall away and are replaced with new ones. 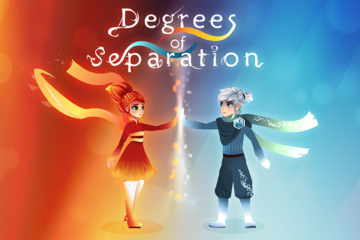 Each level is like a marathon of different challenges, and players can compete across leaderboards for high scores. 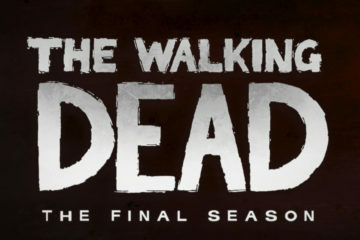 There are three acts to play, each featuring a unique setting and boss, as well as a different playable character. 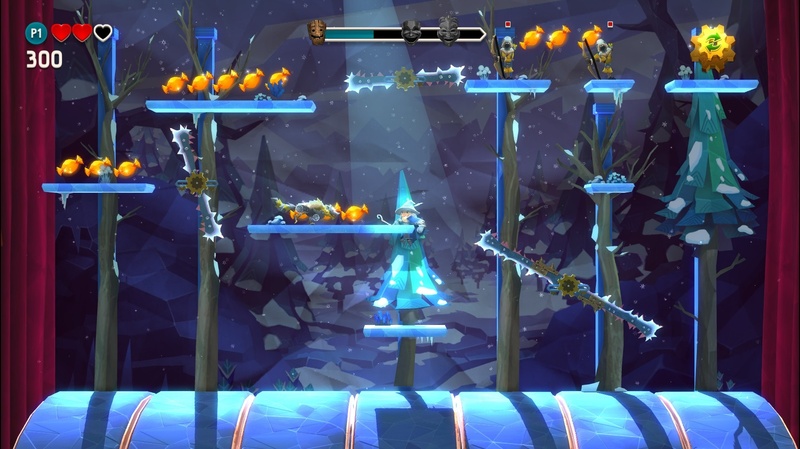 Platformer veterans will be right at home with Talent Not Included’s control scheme. Players can double jump, cling to walls, and perform various special moves and attacks, dependent upon the character in use. For example, the rogue can roll along the ground to avoid enemies and traps while the mage can teleport short distances to bypass hazards and give an extra boost to his jump. 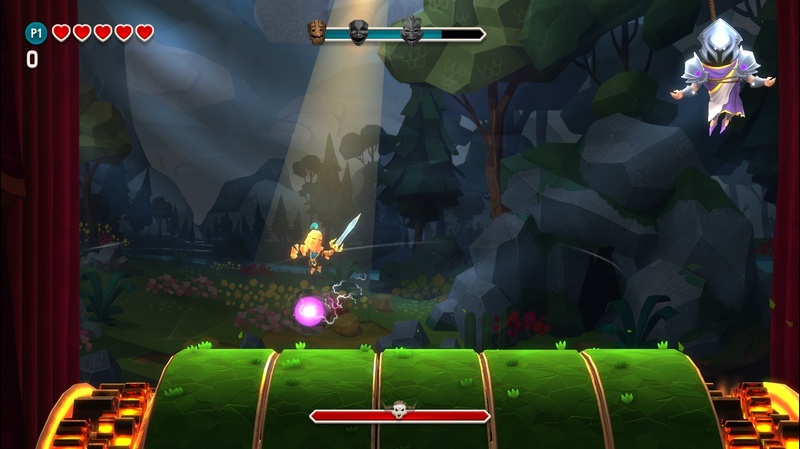 All three characters also have a unique attack, from the warrior’s slow but steady sword, to the mage’s long-range magic blast. 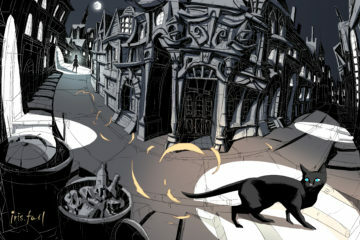 The gameplay alternates between jump puzzles, combat, and various types of obstacle navigation. Players collect candy and kill enemies in order to score points, and there are combo multipliers and time bonuses for folks who like to maximize their score. Hazards cover familiar platforming tropes, such as spike filled pits, rotating blades, and landings that fall away a moment after you step on them. Some sections are timed, which can give an otherwise typical stage a shot of adrenaline. Often, you need to jump from platform to platform as they quickly appear and disappear. Other times, you merely need to survive as cannons fire upon you from all angles. When the fates aren’t conspiring to end your life, a timed section might simply be an optional bonus, allowing you to collect as much candy as you can before it all disappears. Combat is integrated from time to time, usually serving as a change of pace rather than a primary mechanic. 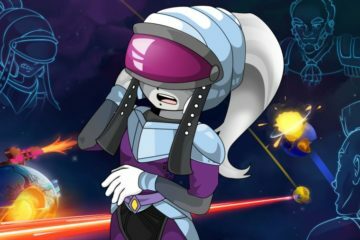 Fighting enemies is easier than the game’s platforming sections, and feels a bit like a missed opportunity. Adversaries are simple and predictable and are either based around sniping you from a stationary position or walking back and forth until you’re in their line of sight. No enemies take more than two hits, and there are often ways to exploit the game in order to beat them. I probably killed half the game’s wolves simply by stabbing them through walls. By the time you have the mage’s projectile attack, enemies border on pointless because they’re so easy to dispatch from a distance. The boss battles function much better and serve as effective bookends for each act. Every boss is pattern based, using several attacks that must be dodged before they subject themselves to a moment of weakness. Each boss (except the last) is battled three times, and while the concept of the fight remains the same each time, their patterns become quicker and tougher. The fights rely on the classic formula of testing your speed, awareness, and pattern recognition. For what it is, it works well. And that sums up Talent Not Included in a nutshell. It controls well enough, provides a respectable array of challenges, and has a well-balanced difficulty level that increases at a comfortable pace. It’s a solid platformer all around, but it doesn’t take the extra step of innovating or providing an experience that stands out. Lots of great games follow a similar formula to Talent Not Included, but they do a better job of adding original mechanics or otherwise presenting themselves in a manner that is unique or unprecedented. So what stands out about Talent Not Included? Well, the scenery and obstacles get replaced in real time as you complete objectives, but that doesn’t exactly enhance the gameplay. In fact, it detracts from it, since hazards can appear right on top of you and result in cheap damage. Though the gameplay is very by-the-books, it’s enhanced by sleek presentation with a fun opening cutscene and an attractive menu that allows players to replay previous levels. 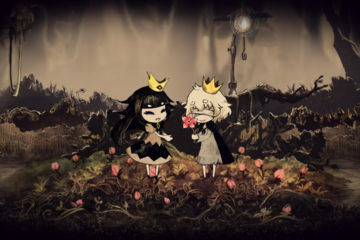 Players can also participate in local co-op, which isn’t that great in practice, since the lesser player is likely to get left behind and boxed out of active participation. Talent Not Included features cute, vibrant graphics. 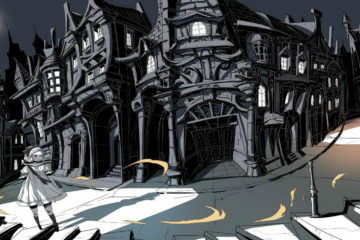 The visuals are thematically based on the game’s stage show setting, with set pieces that are designed to look like, well, set pieces. There’s a spotlight that shines over the player, red curtains that frame the action, and a backdrop that appears to be made out of cloth. 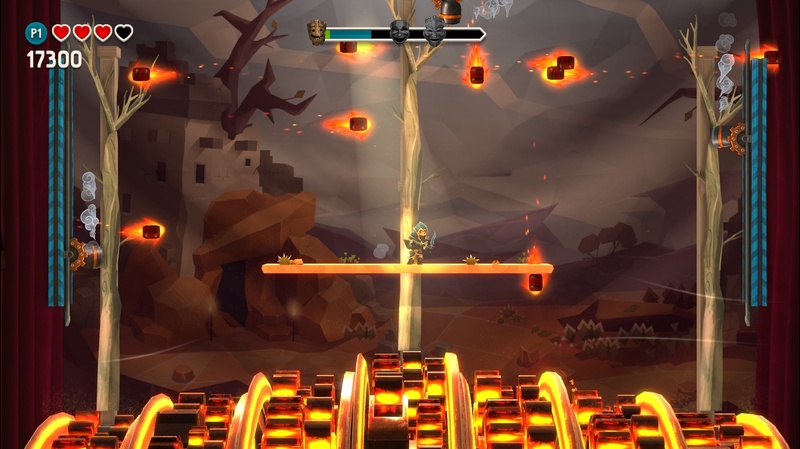 Trees and platforms are rotated into place as if by a mechanical contraption, and enemies are robotic and sometimes suspended on strings. It’s all integrated well and animated smoothly, coming together to give the game an appealing look. The narrative explains why Talent Not Included’s presentation takes the guise of a play, but the premise is a little half-baked. The story revolves around the three boss monsters and their decision to write a play and hire actors. It comes across as random, and it often doesn’t make sense. The story tries to salvage itself through humorous writing and self-awareness, but it falls flat more often than not. There are way too many bad puns and references to video games that came out 20 years ago. There’s also no voice acting, but that might be for the best. The dialogue is less cringe-inducing when you only have to read it. Ultimately, the story doesn’t matter that much because Talent Not Included is primarily crafted around its gameplay. That gameplay is consistently solid, even if it is unremarkable. It’s a predictable sort of game, but that doesn’t have to be a bad thing. Sometimes it’s comforting to rely on tried and true mechanics, and in that manner, Talent Not Included succeeds. It provides enough variety to stay fresh and enough challenge to keep players invested in seeing it through to the end.